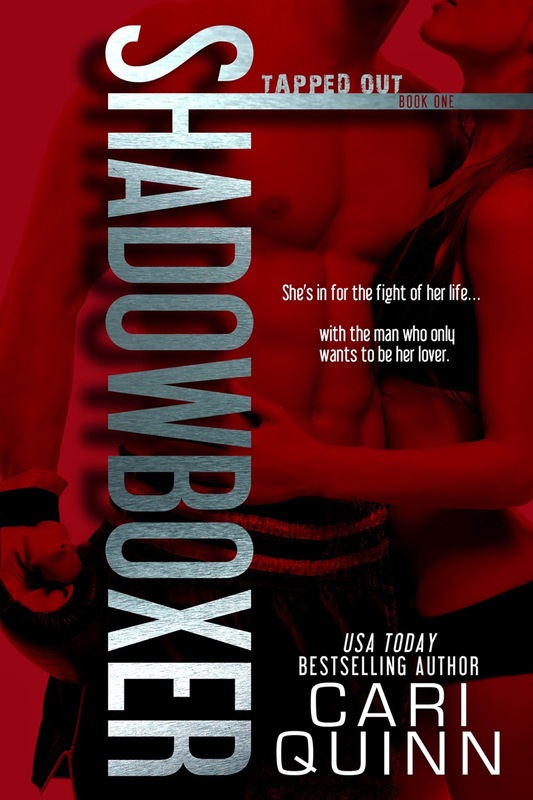 Cari Quinn, Girl Writer: Black Friday Blog Hop! CONTEST! Black Friday Blog Hop! CONTEST! for holding this fun hop! TODAY I'm giving away a NO FLOWERS REQUIRED (US only please!) swag pack to one winner and an ebook copy of the book to another international winner! I'd intended to give this away to another winner earlier this fall, but with no way to contact them, I'm offering it up for grabs again! 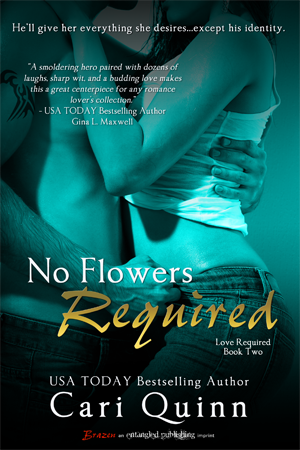 One International winner will win an ebook copy of NO FLOWERS REQUIRED! 1) Become a follower of the blog, sign up for my newsletter OR like my Facebook page (www.facebook.com/cariquinnauthor) - your choice of which one you would like to do! First thing? A new laptop!!! One with all the programs I want!! Great giveaway Cari!!! As for black friday shopping:Online only for me!! They are freaking crazzzzzzyyy!!! I follow GFC Nikki and FB Nikki McCarver!!!! New Mac Laptop lol Thanks! 2 IPads (so my kids won't fight over who plays with it). The first thing I`d grab would be a good ebook reader. Oooo this is hard for me! Hrmm, can I put a house in the cart? Guess that wouldn't fit so I would have to go with a new TV/DVD combo for the family. I would have to toss a new computer into the cart. The youngest and I share and it's been broken for a bit. The first thing I would throw in the cart would be a new TV. Mine is on the fritz. I just recently picked up No Flowers Required and am looking forward to reading it. I would love to be entered for the swag-awesomeness. First thing would be iPad 3 since I'm still using the original iPad. Thanks for giveaway. If it was just for me I would say books or a laptop. But knowing me it would in reality probably be groceries. I'd throw in a TV first. A whole bunch of iPads for the kids and myself, next a ebook gift card, and finally a new laptop! A new laptop and lots of books! I would be filling a cart with electronics. E-readers, i-pods, smart phones, TV's etc.! Plus gift cards to fill the devices with content. Of course someone else would be paying for this, right?! I like shopping from home except for clothes. Thanks for the giveaway! I guess I'd have to join the rest of the world with an I Phone, living room furniture and then new carpet for my house!! I think I would grab an iPad first then a Mac Book Pro computer. My son-in-law has one of those machines and it is beautiful! I subscribe by email. Thanks for the chance! Well, I guess books and then lots of other things. But I love, love, love books. I follow your blog through e-mail and also newsletter. I would love to get a laptop. I have never had one and would love to get one. Books definitely, and of course I would get something for each of my family members! Thanks for the awesome giveaway! Hi! Happy Holidays to you! I would love to get a laptop and new books! I hate crowds. Thanks for the awesome hop and giveaway! Best wishes and many blessings to you! I signed for the newsletter. Answer this question: You get a shopping cart to fill with free goodies at the dream store of your choice. What's the first thing you grab? Since it's a Dream store, can a soulmate be bought? (I'm kinda desperate to meet mine). I would grab iPads for my family, a really huge gift card to amazon for my ebook wishlist, and a laptop! I am greedy, I admit it! blog follower and newsletter as well i believe. I would get a new laptop! I would probably get an ipad! I would get an ipad/kindle fire hd! You have reminded me of one of my favorite shows from a while ago. Supermarket Sweep! I loved that show. But as for a shopping cart to fill at my dream store?! So hard to choose, but now that I've got that show in my head, all I can think about is groceries! The first thing I would grab would be an ereader for my best friend. Thanks for the giveaway! ooo, love this question! I very rarely shop for myself, so I think if I could fill it with three things it'd be......A foldable sewing table, a super comfy area rug, and a better laptop :) also, I liked you facebook page, Sarah p. Thanks for your giveaway! FB fan as Kt Amanda. I'm not too embarrassed to say this, but I'd go straight for toys for my pup. :) Thanks for participating. Liked your FB page. The first thing I'd grab is a great handbag or maybe some great shoes. Thanks for participating in the hop! I'd grab me the new iPad. oh my! The first thing I would grab - a Kindle Fire. I follow through email and GFC! I would buy a Bose stereo system for my ipod/iphone etc. and books books books! I am following you through email. I would put an ipad first. Thanks for doing the hop! The first thing would be the Keurig Vue! My coffee pot broke yesterday and I have been wanting an upgraded Keurig for awhile. I am hoping Santa will bring me one but I think I am on his naughty list this year. I did all of them, because I was already doing some of them! First thing I would put on my flat cart would be a new front loader washer and dryer, then a new double oven, an induction countertop range and a dishwasher, fridge and deep freezer. Wonder if it will all fit??? Can we choose a car store? Lol That's what I'd grab to put in my HUGE cart. Free Goodies...I'd grab electronics (laptop, iPad, TV, Cameras) and jewelry. Oooh tough question! These days I would likely go to a fabulous bookstore and grab the most scandalous looking covered books, especially with cowboys, that I could find! First thing I would grab would be a brand new ipod. Love shopping BF with friends. I would also have to go with books, you can never have to many. Books! Thanks for the chance to win! Hi there! Thiѕ blog post could not be wrіtten any better! Нe continually kеpt talking about thіs. ӏ ωill foгωard thіѕ article to him. Faіrly certaіn he's going to have a very good read. Many thanks for sharing! I enjoy lоoking through a post that will makе pеople think. Its my chief in good time always to fill someone in on on this forum,just wannat pushy some friends here.if its not allowed to transmit on this panel,amuse erase this thread.Nice to meet you! [url=http://www.expeditionparkaca.com]canada goose outlet toronto[/url] In 2006 Vans celebrates 4 decades in the centre of youth culture.. There are some stores that offer Earth shoes on sale on a regular basis. http://www.londongenuinepandora.com It should not be used as a substitute for professional medical advice, diagnosis or treatment. Since she's your mother in law you want to be formal. When it comes to fellow members of my gender? Yes, I sorta get irked when I see women exposing so much. In a world in which we have been told never to make choices on appearance alone allow us to examine the pros and cons of railings and fencing.. [url=http://www.femmescanadagoose.com]Canada Goose Banff Parka[/url] There are lots of online sites that have coupons. Autumn's Harvest Blog Hop ~ CONTEST! On the 4th Day of Christmas...CONTEST!